Botswana Movement for Democracy (BMD) Secretary General Gilbert Mangole has warned that Botswana National Front and Botswana Congress Party must not dare try to expel the BMD from the UDC coalition to avoid an unnecessary legal battle. 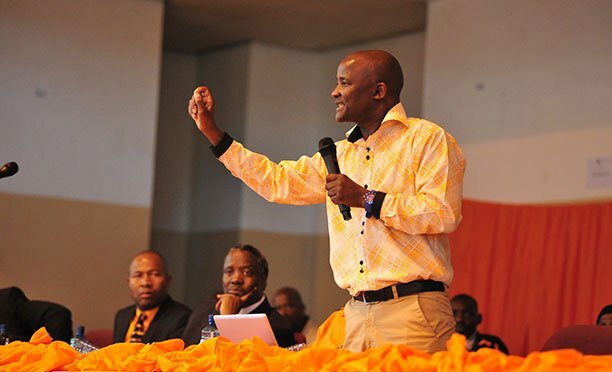 He told a paltry crowd at their much publicised political rally in Francistown South this past Friday that they have sent a 52-paragraph letter to UDC disputing their suspension from the coalition. He said BMD will not leave the coalition as they stand for opposition unity. In the event UDC maintains that BMD has been suspended from the coalition, Mangole said they will have no option but to approach the courts to nullify the decision. He continued that his party president is being vilified by other party leaders simply because Pilane calls a spade a spade and abhors agents of malice in the opposition. BMD national organising secretary Freddy Ramodise slammed BCP as ungrateful and bites the hand that fed them with the Maun West constituency where their party president Dumelang Saleshando will contest. He accused BCP as the source of BMD’s woes citing remarks by Saleshando when he declared that he loathes Pilane to the core. Pundits argue that the rally’s poor attendance was an indicator that since the defection of former area Member of Parliament Wynter Mmolotsi to Alliance for Progressives (AP), the BMD has lost a substantial following in the constuituency.